By now Morello Theory has been out in the shops for a few weeks and a lot of you have tried it, giving us some pretty positive comments along the way – thanks! So we thought it might be interesting to give a bit of the theory behind it and how it was made. Our idea was to create a strong and rich beer that would be dark in colour and really sweet. We would then add in the sour cherries and let the acidity from the fruit cut through the sweetness and bring it back into balance. Cherries have a long association with beer, especially with Belgian style beers, so this would also be a little nod to that tradition. We built the recipe around a Pilsner malt base, with plenty of tasty malts like Munich, Crystal and Arome. These specialty malts would give us the sweetness we wanted as well as the rich flavours. We needed the beer to have a strong and complex malt presence, so that it wouldn’t be overpowered by the cherries. Hops were never going to be a driving force in this beer, so we only did one addition of Herkules for bittering at the beginning of the boil. We chose to ferment the beer with the blend of Belgian yeasts that we had been using in Fresh Start and Hurly Burly. 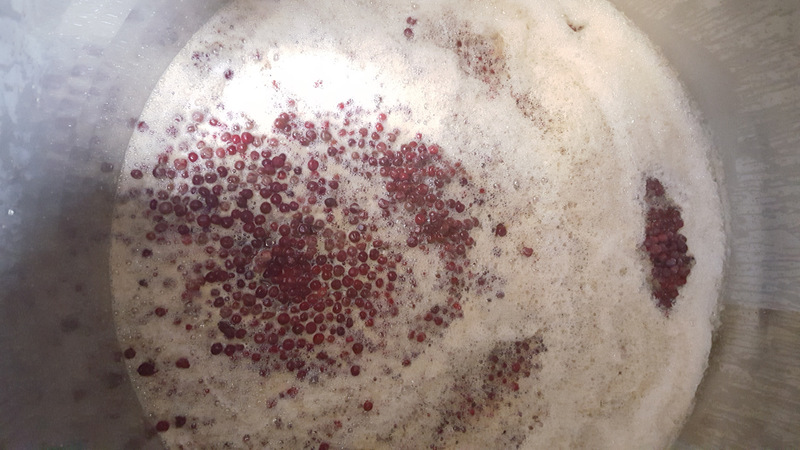 We aimed to ferment the beer at a relatively high temperature, around 25C, to get the yeast to produce more of the fruity esters that would complement the malts and cherries. However, we brewed the beer during one of this Spring’s many cold snaps and GCHQ is not a well insulated building! When it is cold outside it is cold inside too and despite our fermenters being insulated, the weather was enough to keep the fermentation temperature from rising above 17C. As a result, the fermentation was slow and the yeast took a good three weeks to chew through all the sugars. Because of the low temperature the yeast fermented the beer pretty cleanly as well, so the fruity esters we were hoping for were actually pretty restrained. Next time we’ll make sure to check the weather forecast before we brew and, if it’s going to be cold, we won’t chill the wort as much before pitching the yeast. When it came to getting the cherry flavour into the beer we ruled out any artificial flavourings. Aside from the fact that artificial cherry flavours taste fake and crappy, we don’t want to use any fake flavourings in any of our beers. 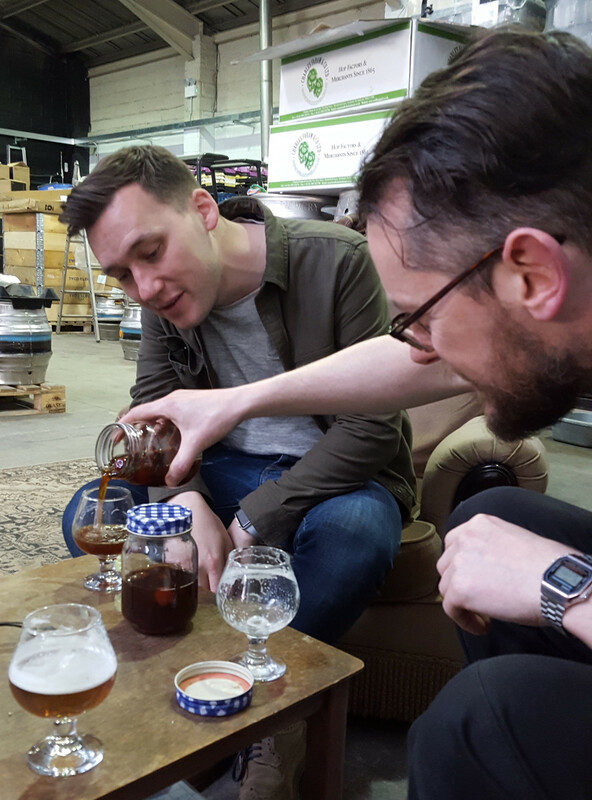 Working out how to get the right balance of flavours out of natural ingredients is one of the great challenges of craft brewing. It’s more expensive and more difficult to use natural ingredients, but it’s a lot more rewarding and always produces better results (when you get it right). 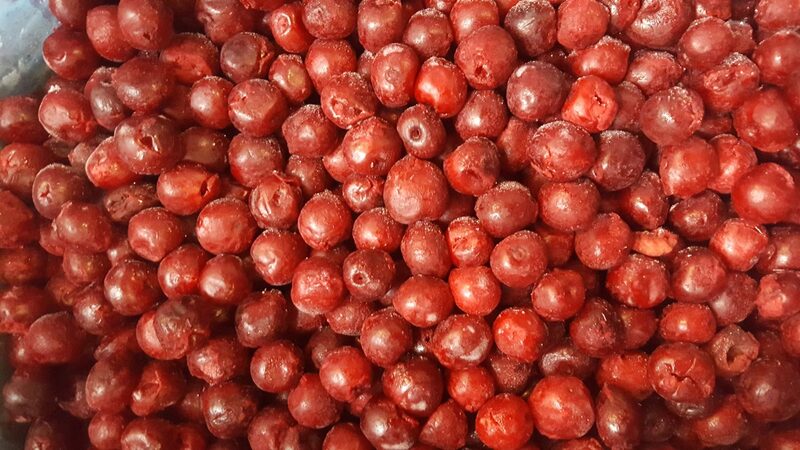 So, after finding a wholesaler that could supply a large quantity of frozen Morello cherries, we looked at a lot of sources to work out what quantity of cherries we would need. We didn’t want the flavour to dominate the beer, but we didn’t want it to be lost either. We thought that 50 grams per litre would be about right and so for a 900 litre batch we would need to order 45kg. However, in the end we upped our order to 60kg to qualify for free delivery! Once we had the cherries we did some experiments of our own to try and get more idea of what quantity of cherries was right for our beer. We dosed samples of the beer with different amounts of cherries and left them for varying lengths of time. 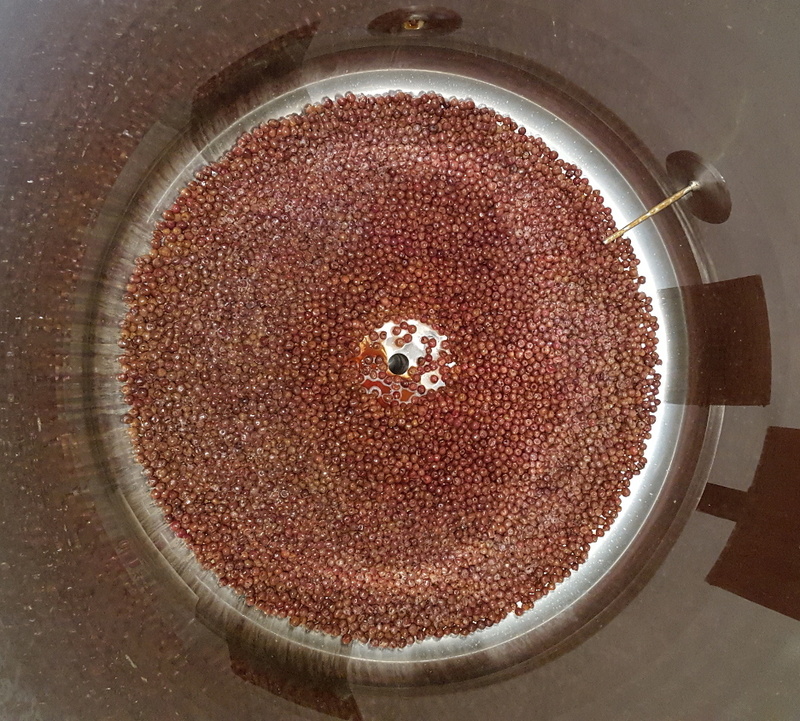 After a few taste tests we decided that the best results came from the most cherries, left in the beer for a week, so decided to use the entire 60kg in the 900 litre brew. We rationalised that the cherry flavour and aroma would fade over time, so it would be better to get as much cherry character into the beer as we could. The plan for Morello Theory was always to bottle it and we worked with our fantastic brand designers (www.confederationstudio.com) to develop a special copper label. But we also decided to fill a few kegs for our events. There’s only a few, so you’ll only see it on draught at special occasions. 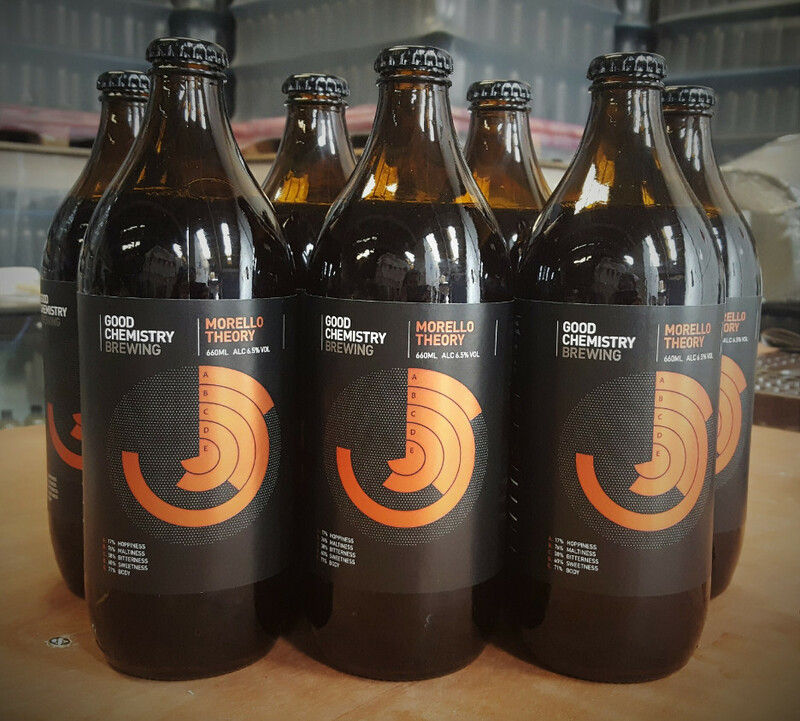 Having now packaged and drunk the finished beer we are really happy with the results. The cherry aroma and flavour comes through well at a level where it works with the beer without dominating it. And the sweetness of the beer balances well with the sourness from the cherries.